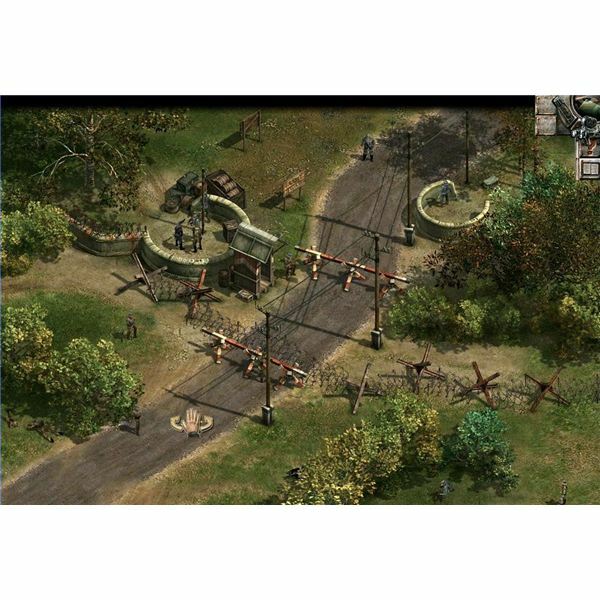 After the success of Commandos: Behind Enemy lines and the followed by addon – Beyond the Call of Duty, the Madrid company Pyro Studios decided to create a continuation better than its predecessor. The result of their three years of work, after lots of problems including a possible bankrupt of Eidos, is now a fact. Commandos 2: Men of Courage resembles a movie from World War II but you are the one who plays all the main roles at a time. There are so many movie-like elements in the game that you’d like to run your little heroes on auto-pilot and enjoy the action. 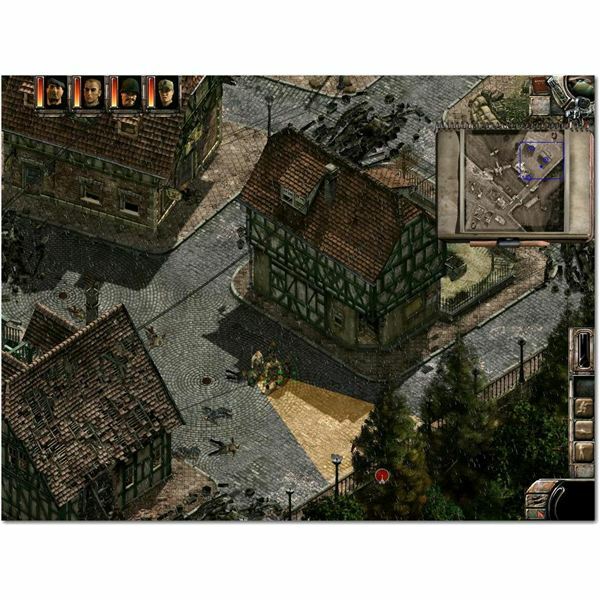 Thanks to the fantastic attention to the graphic details, Commandos 2 for a second time puts new standards in the realization of a specific atmosphere and historical authenticity. 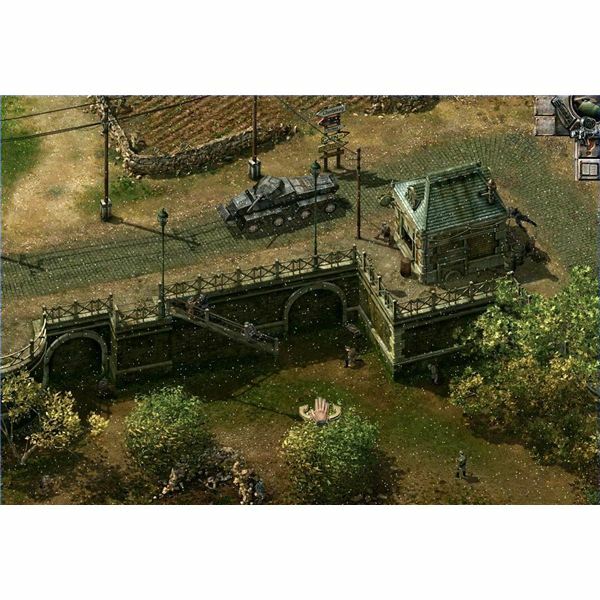 The background graphics are still two-dimensional but all the buildings, vehicles and characters are 3D. Everything in this game has been drawn on hand and then has been digitally rendered. A curious fact contributing to the game’s atmosphere is that no texture has been used twice. By doing so the designers guarantee a pleasant gameplay without any bad dejavu feelings typical for the RTS games whose map is made with an editor by using repeatable textures. Pyro has completely sacrificed the old engine so they can be competitive to the new strategies. The result is, as I already said, amazing! Commandos 2 now features a 1024×768 resolution while Commandos: Behind Enemy Lines was only played on 640×480. The game looks great, yes, but the best thing are the low system requirements. Since only the objects are 3D rendered, you don’t really need anything than a 128 MB video card. There are lots of others small details for making your eyes happy. Rochel, well known from the movie “The Submarine”. The journey then takes you the most cold places in the world, particularly the arctic regions of Northern Europe. Cold eh? Let’s continue to more warm places such as India. There is even one mission, probably one of the most effective and attractive ones – it takes place on the aircraft-carrier Shimano. The ship is reproduced completely authentic and the size is tuned to your Commandos size, so it won’t look like you are playing on an open-air kindergarten playground. Unfortunately the party ends here and you will have to go back to Europe where the hardest missions await. It is necessary that you penetrate the legendary prison Colditz Castle in Saxony, completely reconstructed for the game needs – with 89 rooms and open places. A new interesting element of the game is the interactivity of objects. You can now combine lots of them, for example a piece of meat can be mixed up with some drug, making the most ferocious dogs look like puppies. I don’t want you to think that I’m trying to grab your attention with some small cosmetic details. There are other major changes to be pointed out – your new commandos. Ladies first they say, I’ll start with the not-that-unknown female soldier that we know from the first game – Natasha. She is now part of your team and by using some female tricks she can take the guards attention off you for a moment, letting you pass undetected. Natasha is not just a female toy in your hands, she is also a very good soldier. Just put her on top of a building and watch her sending lead kisses to her “lovers”. The other new addition is Paul. Having in mind his acrobatical abilities, his quickness and trickery I’d call him the typical assassin class or character of this game. He can climb walls, open doors, and sneak behind a guard to knock him out. He has several items that can help your team – a ladder and a rat. I guess the ladder use is pretty much obvious, but the rat is something weird. He is called Spike and he is trained to make funny tricks in front of the guards, again taking their full attention for a while. The last commando is a very special one. His name is Whiskey and he is a Bull Terrier. I could call him the talisman of the team, and as far as I know he was the favorite character of the coders also. His purpose in to bring you things you need. The German soldiers don’t mind a dog hanging around with a grenade in his mouth, I guess they think it will never know how to use it. Treat Whiskey nice – treat him as a Commando and don’t use him to clear a mine field, for example. Fortunately, Commandos 2 has all the good sides of the original game. One problem that might occur for certain players is the game difficulty – some missions are like a psychological test for your neural system. The pleasure from completing one, however, cannot be replaced. You will really feel like a veteran from the war after.